You want your freezer to freeze your food, but your actual refrigerator? Not so much. 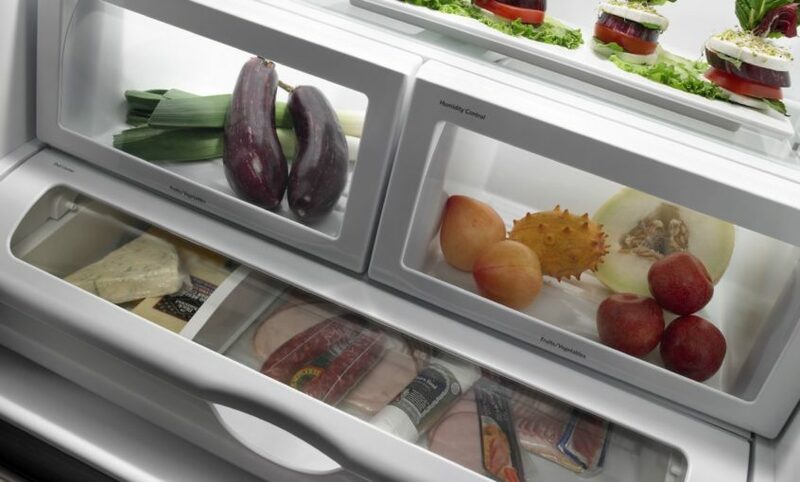 If you have food that is freezing in your refrigerator, this can be caused by several different issues. It doesn’t necessarily mean something is broken, but if you check out all the culprits, you can narrow it down to a repair pretty quickly. Your first step should be to check the temperature in your refrigerator. It should be kept at between 37 to 40 degrees. Anything higher is unsafe for your food and anything lower may result in freezing. Even at the lower end, food on the top shelf or by the blower may become a little icy. You will also want to make sure that the temperature you set the refrigerator to is actually what it is running at. By measuring with a thermometer, you can double check to make sure it is calibrated correctly. If all of your food is consistently freezing, you may also want to check for blocked vents. If the refrigerator is too tightly loaded, air won’t be able to flow properly and it can lead to freezing. While it is advised to keep a full refrigerator for efficient cooling, there is a fine line that needs to be drawn between full and overfull. If you have checked all of the above, then this is a case of needing a repair. Both a faulty evaporator fan or a faulty condenser fan can result in freezing. In these cases, you will need to accurately find and diagnose the faulty part in order to replace it. If you are unsure what is actually broken, you may want to call in a professional to quickly solve the problem by making the right repair. Frozen food in the refrigerator is a serious problem and it needs to be addressed sooner rather than later.